Yesterday Google shared a lot of information about it’s new streaming gaming platform called Stadia. Similar to Playstation’s Play system, Google’s video game streamer has been works for some time. Awhile back I beta tested Playstation’s offer for several months before it launched. And I have to say I really didn’t like it. The main reason was I felt so disconnect to the game while playing. The lag and the sometimes fuzzy graphics. I haven’t tried Google’s Stadia yet but I’m going to need some encouragement to be an early adopter. Part of it is also that I already have a significant investment in gaming hardware. Two Xbox systems and two Playstation systems in my basement. (So we can game side by side). But my biggest concern with game streaming is the lag and the general floating-feeling while playing some games. Certainly turn-based games, card games, and many puzzle games won’t be affected by lag, but the games I enjoy are. Lag is the make or break for any FPS, fighting game, RTS etc. And I just don’t see how this platform can be any faster than a traditional console (or PC) device. From what I’ve played in the past – it isn’t. The Google platform works like this. You connect to the Stadia systems with any device that has Google Chrome, including phones, tablets, PCs, and TVs. 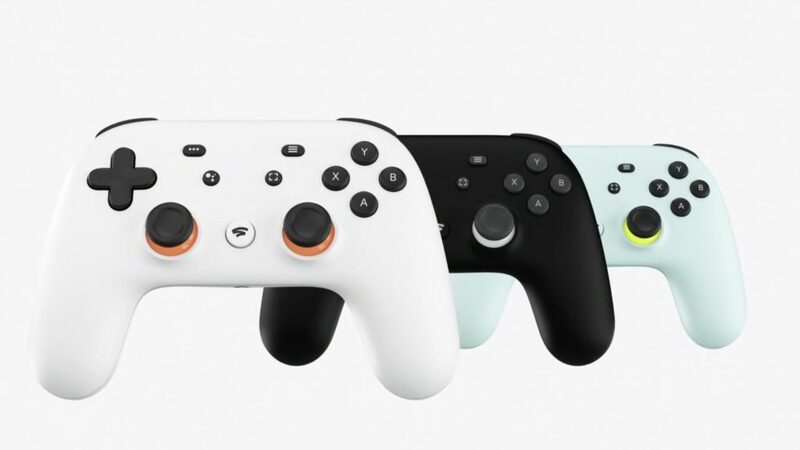 The game resides on Google’s servers and you must purchase a Stadia controller to connect (when playing on a TV). The additional lag occurs here… The input from your actions travels to Google where it is sent to the PC running your instance of the game, then the visuals of the action are sent back to your TV (or other device). Conversely there is no lag (zero with a hardwire) between your controller and the hardware. Furthermore the lag to the display the results is also very short from the console to your tv. In Stadia’s platform that also takes time. At launch time, Google’s Gaming Platform Stadia will run games at up to 4k at 60fps (30 Mbps connection) Stadia will scale down framerate and graphics for slower internet connections below 30 Mbps. Less bandwidth will produce lower resolution visuals. Maybe action games won’t be the focus of Statia, at least to start. Maybe the internet will be so awesome in a few years lag won’t be anyone’s problem. But there is still one more hang-up I have. I (old-school) still like having the physical games on my shelf – that will also take awhile for me to give up.